The European Union decided Monday to continue funding human embryonic stem cell research, although new rules adopted by the 25-nation bloc prevent human cloning and destroying embryos. 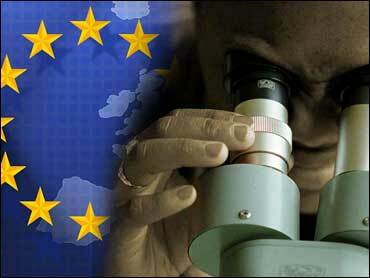 The funding will come from the EU's $65 billion research budget for 2007-2013, when the new rules expire. Poland, Austria, Malta, Slovakia and Lithuania voted against the updated rules for "ethical and moral" reasons, they said. Germany and Italy backed the proposal after initially wavering. Financing from EU funds is "subject to very tight ethical rules and procedures," Finnish Trade and Industry Minister Mauri Pekkarinen said. During the past seven years, nine research projects into human embryonic stem cells have been financed with EU funds. The EU did not disclose the costs. EU Science Commissioner Janez Potocnik said that throughout 2013, less than $38 million would be spent on research projects. The EU funding will be released under conditions that include a ban on research aimed at human cloning for reproductive purposes and studies intended to modify the "genetic heritage" of human beings. In a concession to some mostly Roman Catholic countries, EU money also will not be used to finance research activities that destroy embryos. President Bush rejected legislation Wednesday that could have multiplied the federal money going into embryonic stem cell research, using the first veto of his presidency to block a bill he said "would have supported the taking of innocent human life in the hope of finding medical benefits for others." Bush's veto of the stem-cell bill was sustained by the House of Representatives. White House press secretary Tony Snow apologized on Monday for suggesting that Mr. Bush believed stem-cell research amounted to "murder," saying he was "overstating the president's position." "He would not use that term," Snow told reporters. At issue was Snow's comment last Wednesday defending Bush's veto of legislation to expand federally financed research on stem cells obtained from unwanted embryos. "The president believes strongly that for the purpose of research it's inappropriate for the federal government to finance something that many people consider murder. He's one of them," Snow said at the time. Snow said Monday that the president remains opposed to using federal funds for such research because it involves "a destruction of human life." Embryonic stem cells are able to transform into all the cell types found in the body. If scientists could control those cells and coax them into becoming specific types on demand, they potentially could grow replacements for damaged tissue. Opponents object because scientists take those cells from a 5-day-old embryo, killing it. "The United States lags far behind Europe when it comes to stem cell research because they face so many obstacles," Stephen Minger, stem cell expert at King's College in London, said, citing a more liberal environment in Europe.